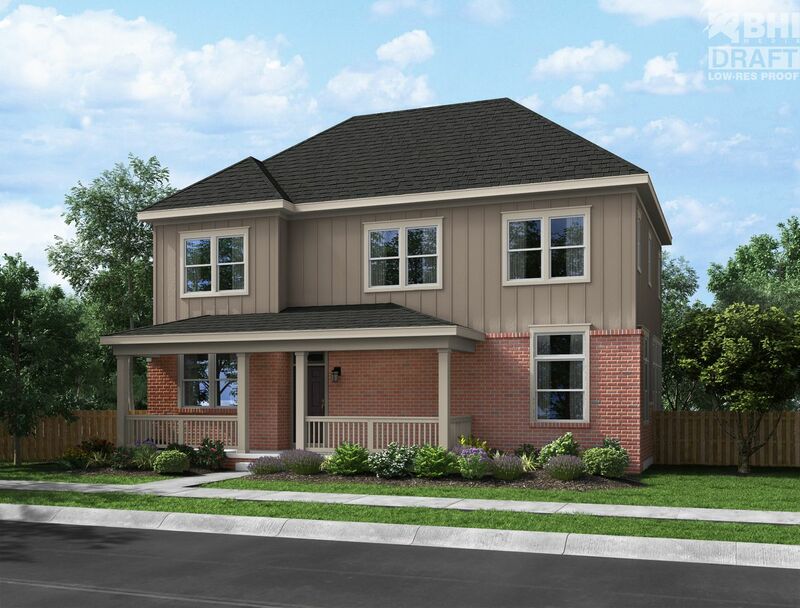 Two story, 3 to 5 Bedrooms, 2½ to 3½ Baths - Main Floor Study, Kitchen with large island and corner walk-in pantry, Formal Dining Room with optional see-through fireplace into Great Room. Master Suite with cofferred ceiling, 5-piece Bath, Walk-in Closet and Linen Closet. 2 Secondary Bedrooms and Loft or optional Bedroom. Convenient 2nd floor Laundry. 10 foot ceilings on 1st floor, 9 foot ceilings on 2nd floor. 9½ inch premium performance walls. Large covered Front Porch, 2-Car attached Garage with optional Garden Shed. Optional 824 sq. ft. Finished Basement with Rec Room, Bedroom and Full Bath. Hyland Village is LEED Certified! Still time to make design package selection!